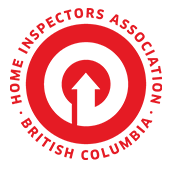 Based in Comox BC, Island Building Inspections has been providing maintenance and repair recommendations for both commercial and residential properties in the Central and Northern Vancouver Island regions, Powell River and the numerous islands of the Georgia Strait. We look forward to meeting your property inspection needs. Do you need a RESIDENTIAL inspection? For 20+ years Island Building Inspections has been providing home inspection services. Visual property exams, inspections of a building’s technical components and more.